Jessica is adorable. Pouty lips, crystal blue eyes, chubby cheeks. She’s the most pretty little thing. 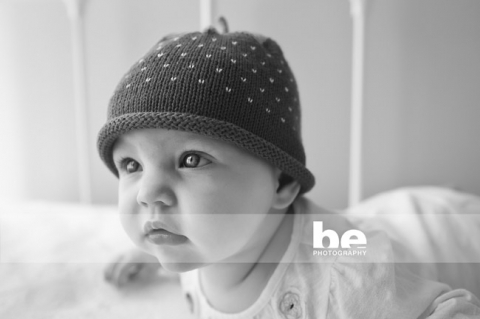 Her mum and dad assured me there was an ‘ugly Jess’ that rivalled the beautiful baby before me, but I saw no sign of it. Well, ok…..maybe as they were walking out the door there was slight hysteria, but ugly would be pushing it. 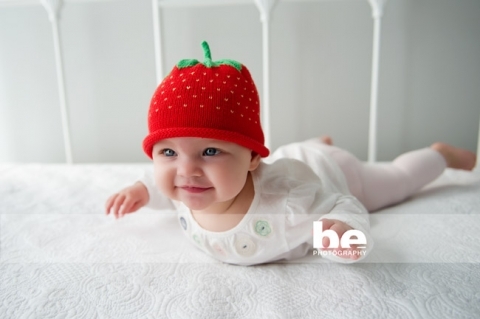 I loved this strawberry hat and meant to ask her mum where it came from. I’ve never seen anything like it, and I shall most certainly be following that up when they come in to choose their images on Saturday. It’s way cute.